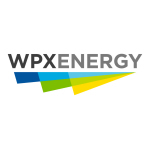 TULSA, Okla.–(BUSINESS WIRE)–WPX Energy (NYSE: WPX) announced today the early results and early settlement of its previously announced cash tender offers (the “Tender Offers”) to purchase up to $500.0 million aggregate principal amount (the “Aggregate Maximum Tender Amount”) of its outstanding 7.500% Senior Notes due 2020 (the “2020 Notes”), 6.000% Senior Notes due 2022 (the “2022 Notes”) and 8.250% Senior Notes due 2023 (the “2023 Notes” and together with the 2020 Notes and the 2022 Notes, the “Notes”). The terms and conditions of the Tender Offers are described in an Offer to Purchase, dated April 3, 2018 (the “Offer to Purchase”), which was previously distributed to holders of the Notes. According to information received from Global Bondholder Services Corporation, the Depositary and Information Agent for the Tender Offers, as of 5:00 p.m., New York City time, on April 16, 2018 (that date and time, the “Early Tender Date”), $328.7 million aggregate principal amount of the 2020 Notes and $628.4 million aggregate principal amount of the 2022 Notes were validly tendered and not validly withdrawn pursuant to the Tender Offers. WPX expects to accept for purchase $328.7 million aggregate principal amount of the 2020 Notes and $171.3 million aggregate principal amount of the 2022 Notes validly tendered (and not validly withdrawn) at or prior to the Early Tender Date (such notes, the “Purchased Notes”). Because the aggregate amount of 2020 Notes and 2022 Notes validly tendered (and not validly withdrawn) at or prior to the Early Tender Date together exceeded the Aggregate Maximum Tender Amount, 2022 Notes validly tendered (and not validly withdrawn) at or prior to the Early Tender Date will be accepted on a pro rata basis, subject to a proration factor of approximately 27.3%. Because the aggregate principal amount of the 2020 Notes and the 2022 Notes validly tendered (and not validly withdrawn) at or prior to the Early Tender Date together exceeded the Aggregate Maximum Tender Amount, none of the 2023 Notes will be accepted for purchase and no Notes tendered after the Early Tender Date will be accepted for purchase. Holders of the Purchased Notes will receive total consideration of $1,092.50 per $1,000 principal amount of 2020 Notes accepted for purchase and $1,052.50 per $1,000 principal amount of 2022 Notes accepted for purchase, which amounts include the early tender premium of $50.00 per $1,000 principal amount of 2020 Notes and $50.00 per $1,000 principal amount of 2022 Notes. Holders of the Purchased Notes will also receive accrued and unpaid interest from the last interest payment with respect to their Purchased Notes to, but not including, April 17, 2018, the early settlement date for the Tender Offers. This press release is neither an offer to purchase nor a solicitation of an offer to purchase or sell securities. No offer, solicitation, purchase or sale will be made in any jurisdiction in which such offer, solicitation, purchase or sale would be unlawful. The Tender Offers were made solely pursuant to terms and conditions set forth in the Offer to Purchase. The dealer managers for the Tender Offers are BofA Merrill Lynch and Citigroup Global Markets Inc. (the “Dealer Managers”). Any questions regarding the Tender Offers should be directed to the Dealer Managers, BofA Merrill Lynch at (toll-free) (888) 292-0070 or (collect) (980) 388-3646, and Citigroup Global Markets Inc. at (toll-free) (800) 558-3745 or (collect) (212) 723-6106. Requests for documentation regarding the Tender Offers should be directed to the Information Agent for the Tender Offers, Global Bondholder Services Corporation, toll-free at (866) 794-2200 (banks and brokers call (212) 430-3774) or 65 Broadway, Suite 404, New York, NY 10006. This press release includes “forward-looking statements.” All statements, other than statements of historical facts, included in this press release that address activities, events or developments that the company expects, believes or anticipates will or may occur in the future are forward-looking statements. Such statements are subject to a number of assumptions, risks and uncertainties, many of which are beyond the control of the company. Investors are cautioned that any such statements are not guarantees of future performance and that actual results or developments may differ materially from those projected in the forward-looking statements. The forward-looking statements in this press release are made as of the date of this press release, even if subsequently made available by WPX on its website or otherwise. WPX does not undertake and expressly disclaims any obligation to update the forward-looking statements as a result of new information, future events or otherwise. Investors are urged to consider carefully the disclosure in our filings with the Securities and Exchange Commission at www.sec.gov.